Finally, The Motley Fool is old enough to rent a car (in the US). 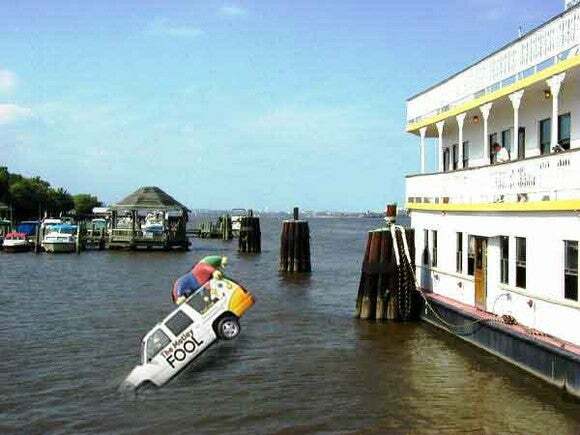 Good thing we already have the Foolmobile. IT DIDN’T EVEN MAKE A SPLASH! IMAGE SOURCE: THE MOTLEY FOOL. Well, maybe had is a better term. Anyway. Finally, The Motley Fool is old enough to rent a car (in the US). Good thing we already have the Foolmobile. IT DIDN’T EVEN MAKE A SPLASH! IMAGE SOURCE: THE MOTLEY FOOL. 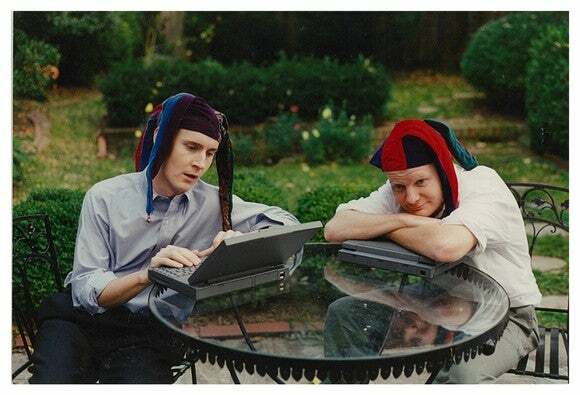 All jokes aside, the last 25 years have been an incredible journey for millions of Fools — our three co-founders — Tom Gardner, David Gardner, and Erik Rydholm, Fool staff, members, CAPS players, and readers. 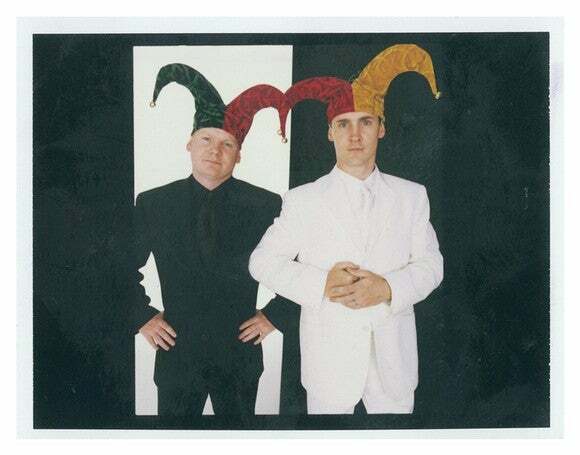 As we’ve worked with Tom and David over the past 25(!) years, we’ve shared in the ups and downs — joy, laughter, Foolishness, camaraderie, and bright memories made all the brighter by many failures and hard times. We’ve all learned a lot together over the years. And so we decided to take some time to reflect on the biggest lessons we’ve internalized over the last quarter-century together. Here, in no particular order, are 25 lessons to carry into your investing life, your professional life, and even your personal life. Default to trust and generosity. One of the most empowering things a newly hired employee can hear is: “We trust you.” Fools are trusted to make big business decisions, because we believe we’ve done a good job of hiring smart, talented, decent people who will do their best to find the right answer. That’s also why The Motley Fool embraces flexible schedules and unregulated vacation time. As The Motley Fool grew over time, that underlying culture of trust expanded with it. Disruptive companies usually look like underdogs at the outset. They’re taking on entrenched interests with far more resources. Consider Amazon versus traditional bookstores (and, ultimately, most of retail) in the ’90s and early 2000s. But disruptors have a critical advantage over the incumbents in their space: vision. Past business success — and the resulting belief that the status quo will persist — often hobbles market leaders, and they fail to appreciate just how much things can change. Wall Street has been underestimating disruptors for far longer than we’ve been around. One of the biggest advantages an individual investor can have over Wall Street is the ability to see that change before entrenched interests can. Use it. …and hold them while they become Rule Makers. Yesterday’s disruptors become today’s industry leaders. Amazon has become a classic Rule Maker in e-commerce: Dozens of other companies are trying to follow a similar playbook and carve out their own digital niche. Yet Amazon remains the undeniable market leader. Tom recently noted that “I’ve gotten to the point where any problem I’m trying to solve in my life, I just type it into Amazon.” 100 million satisfied Prime members agree. Yet Amazon has stayed hungry, rapidly expanding across all kinds of other businesses, from Web services to video streaming to same-day product delivery. There’s plenty more to like about the business, even today. Double your holding period. Then double it again. To stretch the Amazon example one last time, it’s up over over 400 times since its first recommendation in September 1997. Had we recommended Fools sell it sometime in the past, they likely would have made impressive money — 10 times their original investment, or 50 times, or even 100 times. Yet holding through to today has generated awe-inspiring returns. Take the long view. It’s worth it. The idea is simple: If someone has an idea that you don’t think is the right way to solve a problem, then figure out a better solution. It’s a more collaborative way to achieve shared goals: add innovation instead of merely shooting down someone else’s idea. We think it’s the right way to run teams, and it’s a phrase commonly heard at TMF headquarters. It has real impact in investing, too. When Tom invests in a company, “I need to see a demonstration that they have a larger market opportunity” beyond what they’re currently doing today. They have to be in a position essentially to top themselves. TOM AND DAVID NEAR THE BEGINNING. IMAGE SOURCE: THE MOTLEY FOOL. Different life experiences, personalities, and viewpoints help us become better investors, businesspeople, citizens, and humans. Make sure you regularly hear other views, because it ensures that you’re investing humbly, and that you make fewer mistakes. If you’ve built a business full of diverse viewpoints, then conflict is inevitable. Too many people (and businesses) avoid tough conversations. Research shows that every missed “crucial conversation” costs a business $1,500 and eight hours of employee productivity. It’s a nice factoid, and we’re glad to have it as an additional argument in favor of wading into tough conversations and getting to the right answer (which may not always be the consensus answer). But really, it’s just about treating people the way we all want to be treated. Everyone should know where everyone stands and why. We all crave trust. We all crave community. We all need kindness and grace every now and then. Part of running a purpose-driven business is treating all of your stakeholders as equal partners — or, put differently, as you’d like to be treated in their shoes. Every new Fool who joins our ranks takes a class specifically on this critical aspect of Foolish culture, because it’s something we want to implement every day, in every interaction our business has with the broader world. Recognize the value of time. As David puts it, “Time is our dearest commodity.” Because you have a limited amount of it, make sure you’re spending it on the activities and relationships that matter most to you. Invest in growing your time. Your time is limited, but you can increase it by embracing a healthier lifestyle. The data clearly show that a sedentary lifestyle (too much sitting, not enough exercise) has major negative effects on your physical health, reducing the length of your life. The Motley Fool has an extensive wellness program, spearheaded by Sam Whiteside, that’s designed to help Fools improve their physical health (free healthy food, meal planning, fitness classes, and an office gym) and mental health (reimbursement for meditation and mindfulness apps, free access to a digital support program for people coping with anxiety or depression, and more). If you’re an employer, consider the message you’re sending your employees if you put resources into helping them live healthier, happier, and, ultimately, longer lives. Invest in the yin and the yang. Getting caught up in the numbers might mean you miss the forest for the trees; focusing on the story to the exclusion of all numbers could leave you without any tangible way to back up your thesis. Motley Fool Stock Advisor has beaten the market by more than three times as of this writing (with a track record now in its 17th year and counting) by recommending businesses that have incredible growth ramps ahead of them. Those stocks are usually “expensive,” according to the financial media, and rarely on sale. So consider buying the stock that recently doubled — like Amazon shortly after its IPO (seriously, did you really think we were going to stop with the Amazon examples?) — and that you think still has tons of room to run. And if it doubles again, that might be a great time to buy more. Know that your winners will make up for your losers. Psychologically speaking, we feel the pain of losses far more strongly than we feel the joy of wins — yet investing requires you to accept losses. Tom and David are great stock-pickers — yet under half of their picks have beaten the S&P 500 over a five-year holding period. Expect failures. Acknowledge them. But most importantly, don’t overindex to them. As David has said: “The worst you can ever lose [in investing] is one times your value, but your best stock pick could grow to five hundred times initial value. Joy of gain should infinitely exceed the pain of loss.” One or two good stock picks can make all the difference in the world. Invest to learn about the world around you. There are all kinds of ways to learn more about the world. Each provides a unique perspective. Figure out who you are; partner with who you aren’t. Here at The Motley Fool, we encourage people to double down on what they’re good at instead of focusing on mitigating their weaknesses — because we believe that diverse teams can effectively balance each other’s strengths to create a better whole. That’s also something every entrepreneur should do when first starting a business: Focus on their niche, the thing they do best, rather than trying to do everything. Payment processors and software providers are specifically trying to solve the problems that keep entrepreneurs from focusing on whatever business they’re trying to build. But there’s one place where the “focus on your strengths” lesson really breaks down: matters of character. In matters of character, we have to sweat the small stuff — because any weaknesses in character will threaten the structural integrity of the whole enterprise (pun intended). That’s true whether the enterprise is your personal life, a department you lead, or the business you run. Honesty is a core value at The Motley Fool, but at the center of our entire philosophy is integrity — doing the right thing whether or not someone is watching, simply because you know it to be right. Instead of trying to find OK companies selling at a discount, focus on fantastic companies that look set to dominate the competition. Those are the companies that can compound wealth at an incredible rate. John Milton coined the phrase “Luck is the residue of design.” We Fools believe you can set yourself up to be lucky by actively seeking opportunities — and, when they present themselves, acting decisively. HEY! 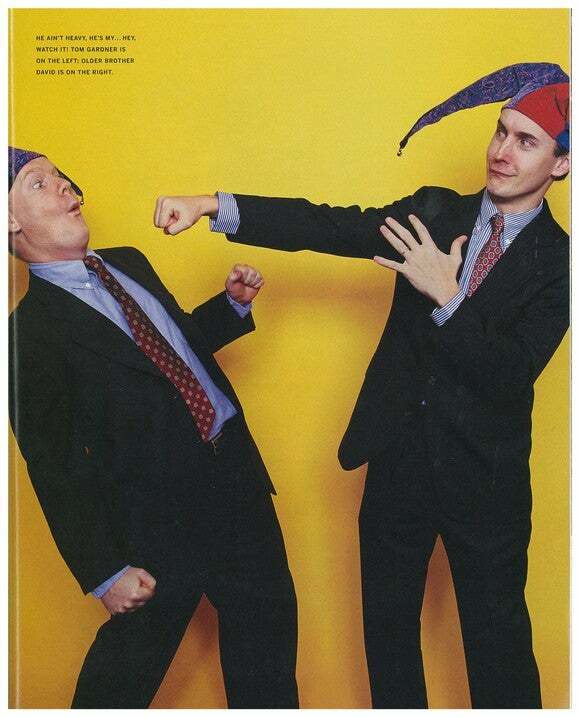 IT WAS THE 90S…IMAGE SOURCE: THE MOTLEY FOOL. 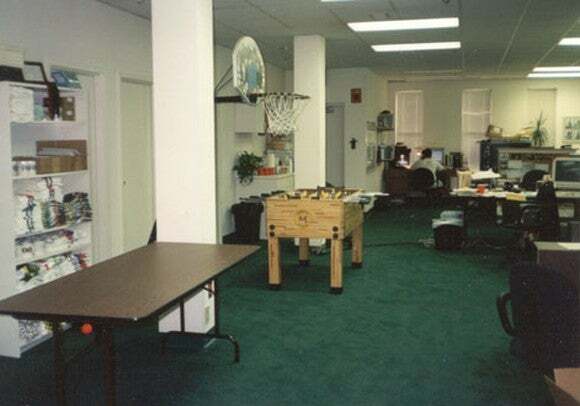 THE OFFICE CIRCA EARLY 2000S. NOW WE HAVE VR HEADSETS. IMAGE SOURCE: THE MOTLEY FOOL. Running a successful business takes mental flexibility and a readiness to laugh at yourself. It encourages others to do it, too, which builds a sense of safety in groups. Recognize that bold visions never look entirely sane. Visionary leaders win when they see a future very different from our present. It is almost inevitable that such a vision seems zany in the present. Yet here we are, in a society that doubters could not have imagined just a few years ago. Invest in the people you’d want to work for. We care a lot about culture at The Motley Fool. (You’ve probably picked up on that by now.) As a result, we care about leadership. Our services’ recommendations are filled with companies led by CEOs with the vision to dream big, the humility to listen when someone proves them wrong, and the thoughtfulness to invest heavily in a fantastic company culture. That’s why we consider what current and former employees say on websites like Glassdoor and InHerSight when deciding whether to recommend a stock. Believing in a company’s future starts with trusting the leader at the helm. Tom invested in a play created by his college friend Jill Furman because he believed in her ability, her grit, and her passion for producing great theater. In the Heights ultimately won four Tonys and a Grammy (and was even nominated for a Pulitzer). It also opened the door for Tom to be an early investor in a then-unknown musical called…HAMILTON. How you treat others matters. We could talk about karma and all the reasons why it’s smart to be good to others, but that really neglects the underlying point: Being good to people is just the right thing to do. The next 25 years are more important than the last 25 years. The Motley Fool has accomplished a great deal in its first 25 years, but we’re more excited than ever about what our community can achieve in the coming 25 years. At the end of the day, only a fairly small slice of people are interested in stocks. Our goal is to “help the world invest — better” — which means we need to serve a much broader swath of the population than only people interested in stocks. Above all, build the world you want to see. David shared a great quote at a company conference a few years ago: “Make your portfolio reflect your best vision for our future.” But that’s only part of the answer. Make your actions — where you invest your money, where you spend your money, where you spend your time, how you live your life — reflect the world you want to see. That’s what we try to do here at The Motley Fool, and we’re excited to grow and change together over the next 25 years. We have been so blessed to share this journey with millions of awesome people.